History’s Corner – September 2018 | F.F.A.M. Left to Right: Claude Owens, Happy Roberts, J.W. Thompson, on 1940 Hercules. 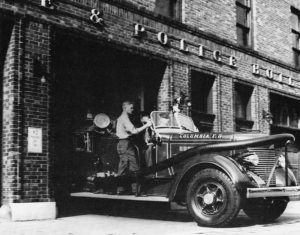 Columbia’s first paid fire department was formed in 1893 and consisted of Chief Albert Newman, an Assistant Fire Chief and 11 part-time or volunteer firemen. Newman received $30 a month and the Assistant Chief received $20. 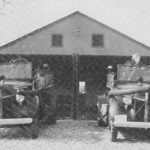 Motorized equipment came to Columbia in 1913 following a series of major fires. A “Kissel” truck complete with 1,000 feet of hose, several ladders and a 40-gallon chemical extinguisher was purchased by the city and housed in a city-rented two-story brick building located on the northwest corner of Seventh and Walnut (the building located directly across Walnut former Fire Station #1). Beds were included for three fire fighters who were given four hours a WEEK to spend with their families and take care of personal business. That same year, Earl Kurtz was appointed Chief with a salary of $75 per month. Assistant Chief F.W. Ketchum and Fire Fighters Edward Harrel, Thomas Walden and W.N. Griffiths comprised the remainder of the paid department. Additional personnel came from area volunteers. While serving as Fire Chief from 1913 to 1918, Kurtz initiated Columbia’s first fire prevention program by inspecting buildings, discovering potential fire problems and educating the public in fire prevention methods. Tom Walden was appointed Fire Chief in 1918 and remained in that position until 1950. When appointed, his salary was raised from $100 to $125 per month and three other full-time fire fighters (W.C. Kennedy, W.E. Christian and J.C. Walden) received salary increases of $10-$15 raising their monthly salaries to about $40. The 30s and 40s found both the population and geographical area of Columbia increasing. Increased building heights and the age of downtown buildings made it necessary for further expansion of the Fire Department. March 1933 found the Fire Department operating out of a new fire and police building located on the southwest corner of Seventh and Walnut. Two years later, the Department had increased to 11 fire fighters. In 1940, the City Council authorized the purchase of a “Hercules” pumper. In 1945, the Council authorized construction of a 1,000,000 gallon elevated storage tank near Garth and Walnut because water supply was still a problem. 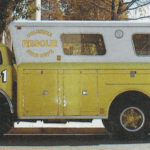 A “Mack” pumper was purchased in 1948. Also, two Ford fire trucks, each with 500 gpm capacity were given to the University by the U.S. Army. 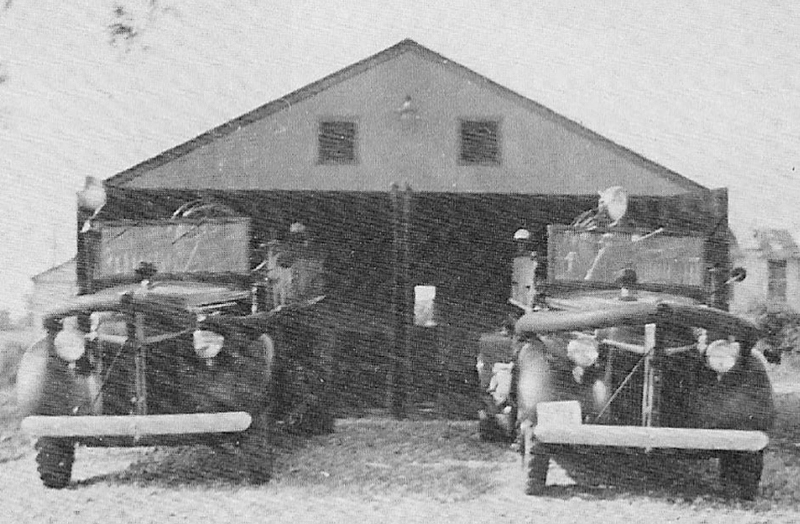 The Fords were housed in a substation just south of the UMC Hospital and Clinics building from 1946-1959. This substation was manned by two firemen on a 24-on/24-0ff schedule. Assignment to the substation was rotated every two weeks between the men assigned downtown. When a fire call was telephoned into the downtown station, the personnel at the substation could listen in on their own extension and respond when necessary. Radio communication for the Fire Department came into being in 1950 when a radio was installed in the Hercules pumper housed in the downtown station. Fire Station #2 was erected in 1957 at the corner of West Worley Street and Pershing Road. From 1951 to October 1973, Max Woods served as Fire Chief. During his tenure, the Fire Department expanded greatly, adding four City-owned fire stations and one University-owned fire station. The University-owned Station (Station #3) was opened in 1966. Station #4 opened in December 1970, Station #5 opened a year later in December 1971 and Fire Station #6 opened three years later in April 1973. Chief Woods retired in October 1973 and was replaced by Earl Dean Holland the same month. Chief Holland was imported from Texas . . . the first Fire Chief not from the Columbia area. When Chief Holland resigned to become Fire Chief in Tuscon, Arizona, in October 1976, Battalion Chief J.Girard “Toot” Wren was appointed Acting Fire Chief. Chief Wren’s appointment became permanent in February 1977 and he served as Fire Chief until stepping down in December 1983. A.W. “Bill” Westhoff, Jr., was appointed Fire Chief in December 1983. 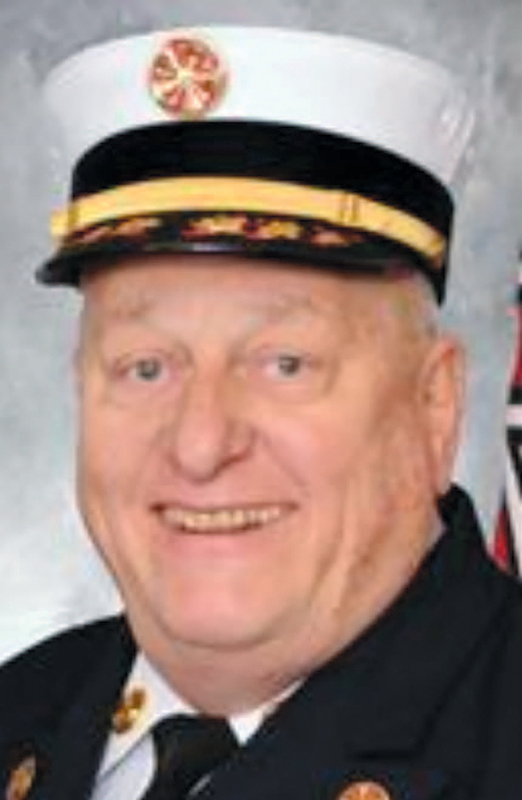 Chief Westhoff, was well known in the Columbia area because of his job with the University of Missouri as a Fire Service Instructor and as the Chief for many years of the Boone County Fire Protection District. Upon Chief Westhoff’s resignation in May 1987, J.G. 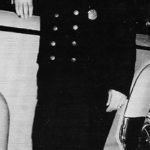 Wren was again appointed Acting Fire Chief and served in that position until the appointment of William Markgraf as Fire Chief effective July 5, 1988. Chief Markgraf came to Columbia from his position as Fire Chief of University City, MO. 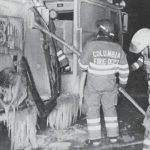 Having been the director of Fire Science at Columbia College from April 1976 to August 1977, Chief Markgraf was acquainted with Columbia and known by many fire personnel. Chief Markgraf’s primary goal is “to provide the best service possible for the citizens of Columbia.” He was responsible for major changes in the apparatus and function of the department. 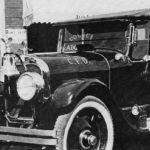 During his years of leadership, red and white apparatus returned to stations along with many other innovations. In June of 1997, Fire Station #1 was moved to a new building at 201 Orr St. The old station had been in operation since 1933. 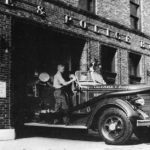 The larger, more modern fire apparatus no longer would fit comfortably in the apparatus room doors, traffic congestion was a problem and need for more municipal office space in the down town area spurred on the move. In December of 2001, Fire Station #8 was opened at near the intersection of Nifong and Bearfield Road. This was the first new or additional fire station built in Columbia since fire station 7 opened in 1983. 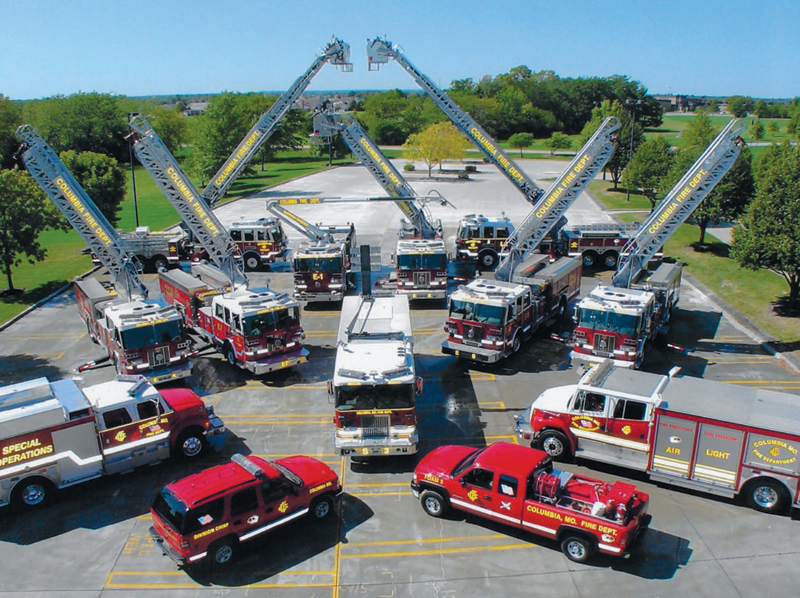 In February of 2009, Fire Station #7, relocated from near the intersection of Providence Road and Nifong, opened at the corner of Greenmeadows and Bethel, about 1/2 mile west of it’s former location. In February of 2010 Station #9 at 201 Blueridge opened. 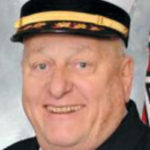 In March of 2011, Chief William Markgraf retired after 22+ years leading the Columbia Fire Deparment. Deputy Chief Charles P. Witt, Jr was promoted to the position of Fire Chief. In April of that same year Captain Randall White was promoted to the position of Deputy Fire Chief. In January of 2015 Chief Charles P. Witt, Jr. retired and Deputy Fire Chief Randall “Randy” White was appointed to Chief effective February 1, 2015. 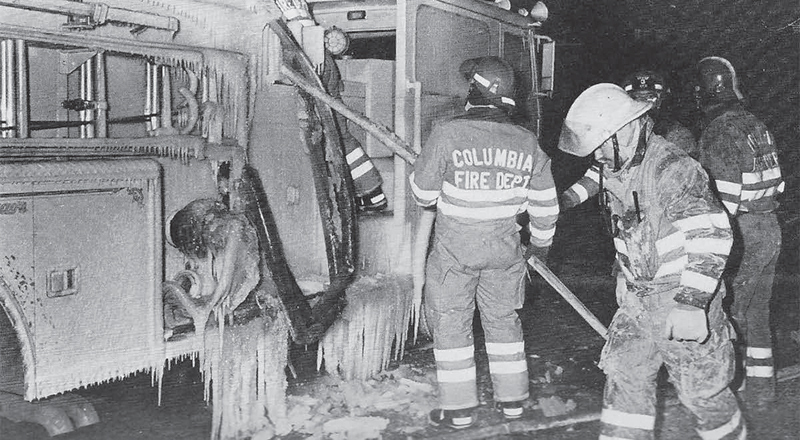 The Columbia Fire Department today employs 140 highly skilled, trained and dedicated men and women. Three shifts, operating 9 fire stations, provide Columbia with 24-hour fire and emergency protection and service year-round. The Fire Administration, Fire Marshals Division and Training Division offices are located at 201 Orr St. The Emergency Services Division, headed by three shift Division Chiefs, has its office in Fire Station #1 which is attached to the fire administration wing. The Training Academy is located at 700 Big Bear Blvd in north central Columbia. 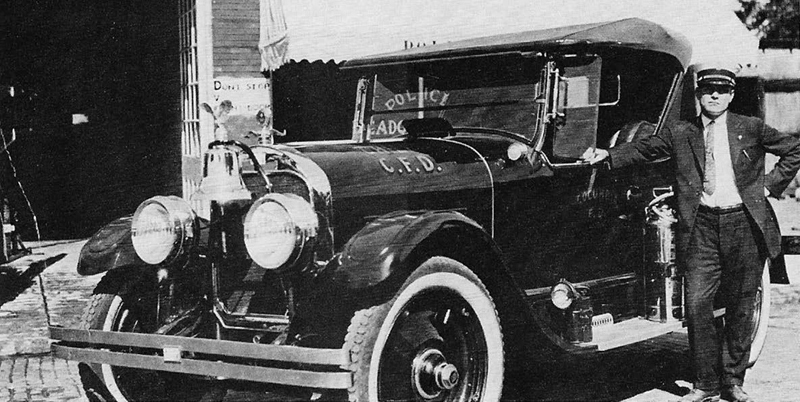 Chief Bill Markgraf spent twenty-two years as the Fire Chief of the Columbia Fire Department and over that span of time developed a modern fleet of exceptional and unique fire apparatus. He also developed an atmosphere of positive men and women who put customer service first for their community. Bill and I have been friends and fire service associates for nearly half century. 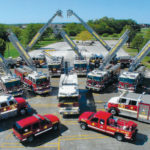 He started his passion for the fire service early, starting as a volunteer with the East Joliet, Ill Fire department while still in High School. After a career that included fire fighting with the Boone County Fire District while working as the Director of the Fire Science Program at Columbia College, he moved to University City, MO as their Fire Chief. I had a great conversation with Bill recently and he and Linda are traveling extensively since his retirement and still playing saxophone. His contributions to the City of Columbia and the Fire Service are epic. Thanks for being my friend.